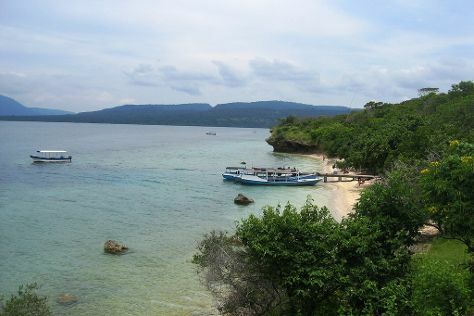 Gerokgak, an area of northern Bali, features clear, warm waters that support colorful coral and aquatic life. The preservation projects that protect its coastline and marine areas have been awarded with national and international prizes, including the 2012 Equator Prize Award by the United Nations Development Programme. With pearl farms alongside its rich, well-preserved marine environment, much of the focus here is on the water. However, luxury spas offer visitors beachside areas of relaxation and forest-covered getaways further inland. Gerokgak is in Bali. When using our Indonesia trip itinerary planner to make an itinerary online, Gerokgak holidays come together around your tastes, interests, and requirements, with us taking care of the logistics.